Arguably, the biggest downside of social media marketing is the time commitment. But a new tool aims to solve that problem by predicting what type of content a company should publish as well as where and when that content should be promoted. The SimpleFeed tool, dubbed the Social Syndication Hub, is a predictive publishing service that helps companies distribute content to the right channels based on type, keywords and categories. Moreover, the solution helps users measure and analyze content and channel effectiveness, as well as boost lead generation, engagement and conversions. "The social media marketing industry to date has focused on measuring content delivery optimization after the fact," says Mark Carlson, CEO of SimpleFeed. "SimpleFeed's innovation is to determine exactly what type of content should be published, but also where and when it will be most successful. All of this analysis is done beforehand. Predictive publishing takes the guesswork out of social media marketing." The Social Syndication Hub automatically determines what content companies should publish, where they should publish it and what day and time it should be published to get the optimal results. SimpleFeed can publish content from company websites, social sites, content management systems, data feeds, RSS feeds and other sources based on customer-defined rules. An early adopter of this technology is Toyota Motor Sales USA, which built the Toyota Digital Dealer Solution via SimpleFeed’s Social Syndication Hub. Toyota’s solution allows the company’s 1,200 dealers to set up automatic publishing of approved content like news, social media posts, product information, NASCAR race results, incentive offers, YouTube videos and more. 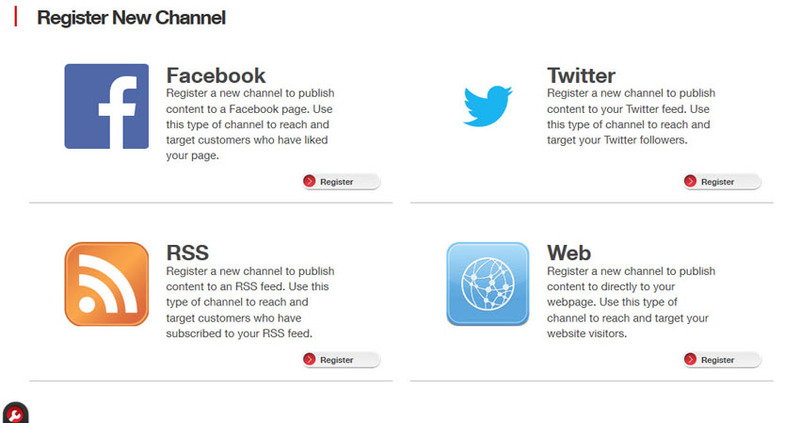 Plus, the publishing channel options available to dealers include their own Web, Facebook and Twitter pages. "We have spent the last two quarters refining our algorithms to maximize customer success," says Carlson, "and the benefits are proving to be tremendous. Toyota customers and prospects get content that is relevant to their interests and location, while dealerships receive appropriate and approved content that helps with lead generation efforts."